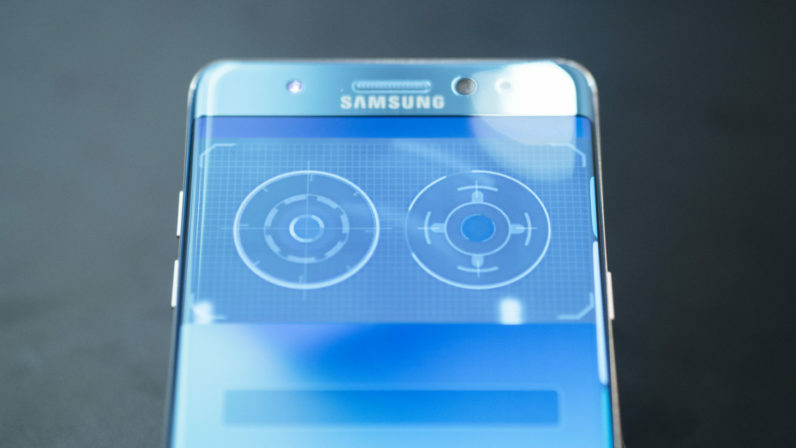 Just one month after the Samsung Galaxy S8’s release, German hackers have already figured out a way around the phone’s iris recognition software. The Chaos Computer Club, a European hacker group, published its account of hacking the S8’s biometrics via a few simple tools such as a camera and a contact lens. It also showed video footage of the successful workaround. Have subject sit at medium distance from camera. Shoot head-on infrared photo of Subject’s face. Print picture of Subject’s face on Samsung laser printer. Register subject’s real irises with the S8’s biometrics. Place contact lens on the picture of Subject’s eyeball. Point picture at Galaxy S8 and hold for 10-15 seconds. Let stand for 20-30 minutes while you realize the security of your phone isn’t as airtight as you thought.